ExOne a global provider of 3D printing machines and 3D printed and other products, materials and services to industrial customers, announced in an official release that it has collaborated with Ohio-based Catalysis Additive Tooling (“Catalysis”) to develop a new process for 3D printed tooling for low-to-medium volume production parts. Based in Powell, Ohio, Catalysis is known for providing a complete solution which includes designing and 3D-printing tooling, as well as manufacturing parts. The collaboration between the two companies has resulted in the development of a revolutionary new rapid tooling process. The process starts with an ExOne sand mold which is 3D printed using its binder jetting technology, based on a unique customer design. The mold then receives proprietary coatings and becomes a re-usable tool to make a plastic, fiberglass, foam or other composite part by way of a more traditional injection, vacuum formed or cast process. Speed, cost and the ability to create a uniquely designed and reusable tool for low-to-medium run production are all benefits to Catalysis customers. Catalysis pursues opportunities from prototype to mass production in a diverse variety of end markets, that range from automotive, appliance, aerospace to incubators, medical, packaging, recreation and more. Together with their strategic manufacturing partners, the company has developed tooling and manufacturing processes for metal forming, vacuum forming and plastic injection at a cost and lead time which are often less than half the cost and time required of conventional manufacturing processes. Additionally, 3D printing allows for the design of more complex tooling, removing constraints inhibited by traditional tooling design. 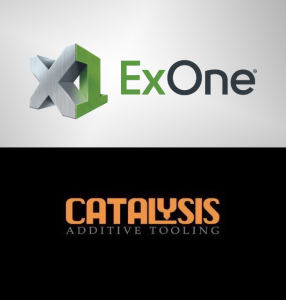 Speaking about the newest addition to their range of 3D printing offerings, Darrell Stafford, Chief Executive Officer and President at Catalysis Additive Tooling said, “We are pleased to add ExOne’s binder jetting technology to our family of 3D printing offerings. At Catalysis Additive Tooling we take an agnostic approach to 3D printing”. Catalysis offers a number of different 3D printing technologies and select the best technology that meets its customers’ needs. Given its speed and volume capabilities, Catalysis is specially interested in binder jetting for production parts and ExOne offers the best solution that satisfies this need. “With an ever-increasing number of applications, we are finding that our go-to technology for development of thermoforming, composite and foam tooling is binder jetting,” added Stafford. “Catalysis’ broad and innovative customer base seeks the significant cost and efficiency advantages that our technology provides. We are excited to partner with Catalysis in helping their customers to innovatively differentiate themselves in the marketplace,” added Lucas. “We selected ExOne as our strategic partner because they are the proven global leader in binder jetting technology for industrial sand and metal components. 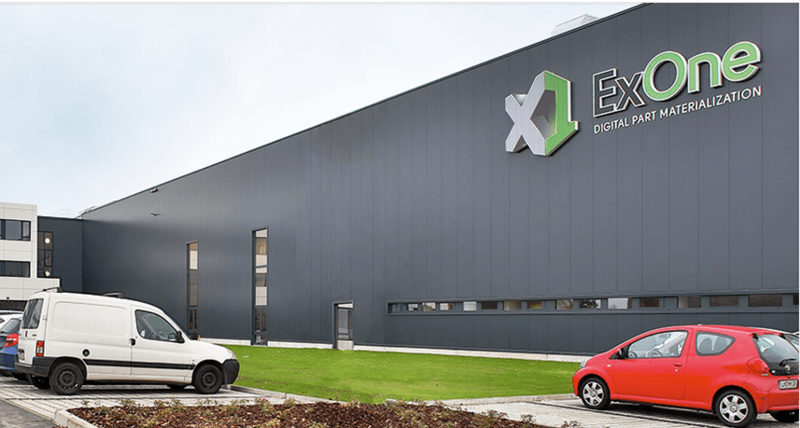 Additionally, ExOne continues to advance the processes and print mediums to which their technology can be applied, further reducing costs and enhancing print quality,” added Mr. Stafford. “Their machine print resolution is an excellent fit for our thermoforming, composite and foam tooling applications. And, compared with other 3D printing technologies, ExOne’s binder jetting offers the most cost effective and efficient solution for these types of applications,” concluded Stafford.